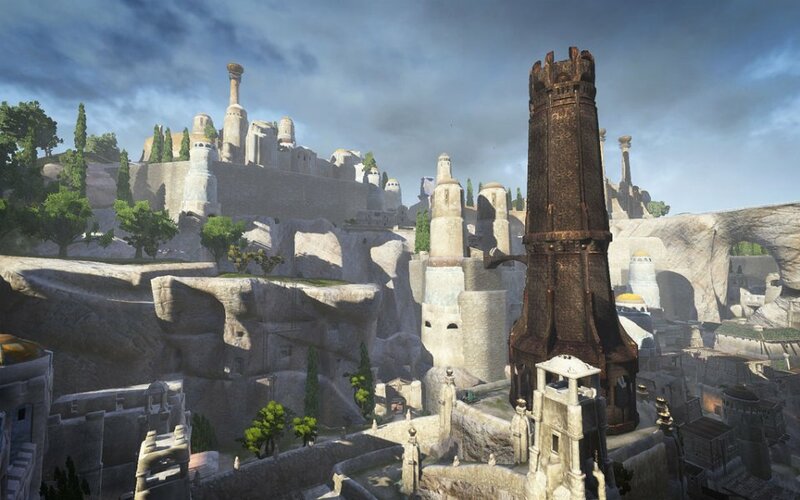 Called the "most princely city of the world's West" by chroniclers far and wide, Tarantia is a sprawling city of wonders and the capitol of Aquilonia. 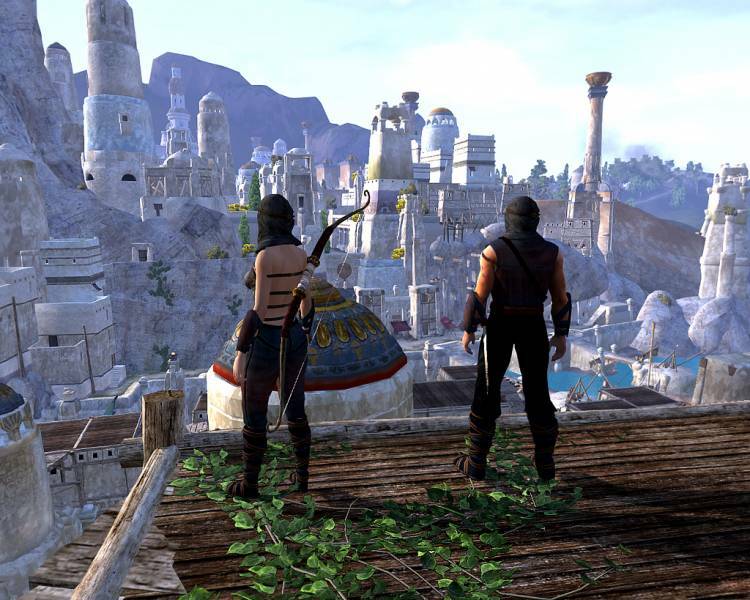 Called the "most princely city of the world's West" by chroniclers far and wide, Tarantia is a sprawling city of wonders and the capitol of Aquilonia. Its skyline is dotted with towers of blue and gold, and many of its buildings are clean and dazzling to behold. Created in layers, like rumpled cloth against the cliffs of the Khorotas River, Tarantia has several distinctive areas separated by walls and tiers both physical and societal. Possibly the most famous of these sections, unsurprisingly, is Old Tarantia. Old Tarantia sits at the end of a huge bridge that leads to the rest of the bustling city, divided elsewhere by high walls and guarded gates. It uses its own docks and has a massive gate sitting on the Road of Kings. All are patrolled regularly, and watched for dangerous visitors. It is the root of the city itself, where the rest of the capitol grew outward from, and is the base of the royal palace of King Conan himself. The shining towers of the palace rise high into the sky, overlooking the rest of the city and, some might say, the rest of Aquilonia. Old Tarantia is not an example of your typical Hyborian city by any means. The streets are clean and devoid of miscreants, the businesses do their best not to charge too high of prices for their wares, and common crime is veritably non-existent. The elite bodyguard unit of the King, the Black Dragons, patrols the palace grounds constantly and can even be found outside its walls from time to time. Few are foolhardy enough to deal with these strapping soldiers, making most criminals look elsewhere to ply their illegal trades. It is a safe city for those who abide by King Conan's laws, and where many come to shop and see the beautiful city with their own eyes. There is far more going on beneath the shining surface of Old Tarantia than simply the rise of admiration and awe. Just because it isn't crawling with muggers and pickpockets on the streets doesn't mean that the city is without a darker element. Nobles that are not pleased with a Cimmerian on the throne are constantly scheming and pushing pieces around their political chessboard, some willing to sacrifice many pawns to get closer to their way. 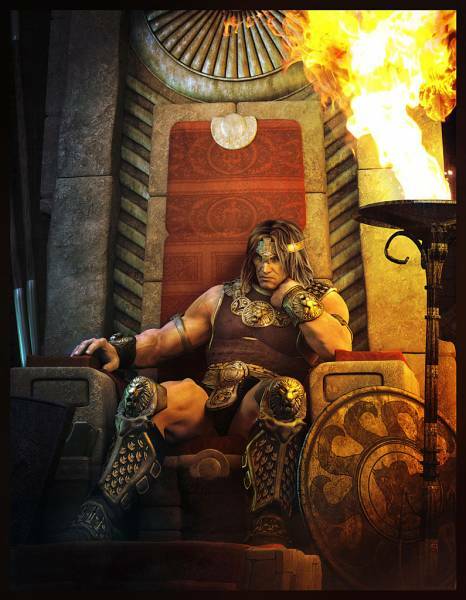 King Conan made many enemies in his winding road to power. Some died at his hands, but many escaped the edge of his sword. With King Conan on the throne, the brilliant beacon of civilization that Old Tarantia is might just attract these enemies like vultures to a corpse.